Whether it’s a business meeting, wedding, holiday party, retreat, tour group, reunion, a hideaway for musicians and writers, the New Harmony Inn Conference Center staff will make your event successful and memorable. 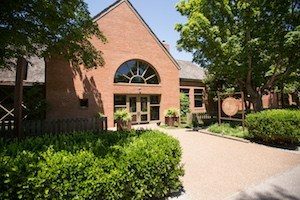 Located in New Harmony, Indiana, the New Harmony Inn Resort provides a natural setting that gives events that special touch in our hotel conference rooms. 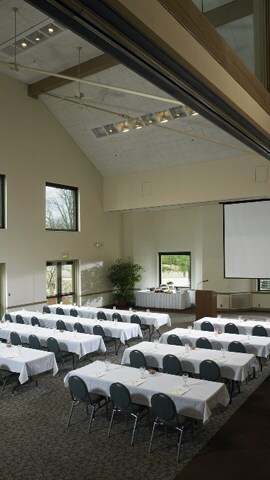 Plan your next corporate event in our full service meeting facility that is surrounded with views of natural beauty. Our tranquil setting helps to reduce stress and promotes productive meetings and retreats. We can accommodate 400 people for stand-up receptions, 300 for sit-down dining or up to 300 for a theatre style meeting. Audio visual equipment and wireless high speed Internet access are available for your convenience. From small business meetings, to spiritual retreats, to artists workshops, to large conferences, the New Harmony Inn Resort and Conference Center is the ideal choice for any type of gathering. For your next event, combine the serenity of the inspiring New Harmony setting with our state-of-the-art Conference Center, menu and catering options. Contact Group Sales department today! Located midway between St. Louis, Missouri and Louisville, Kentucky on Interstate 64, Exit 4, the New Harmony Inn is a relaxing haven for business travelers. Only 30 minutes west of downtown Evansville, Indiana, New Harmony is in close proximity to major corporations in the Ohio Valley. The business traveler to New Harmony Inn will appreciate easy access to major highways and commercial and private air travel. Shuttle service is available to and from the Dress Regional Airport in Evansville. We will be happy to assist you in planning your business trip to New Harmony. View the New Harmony Conference Center Business Brochure. 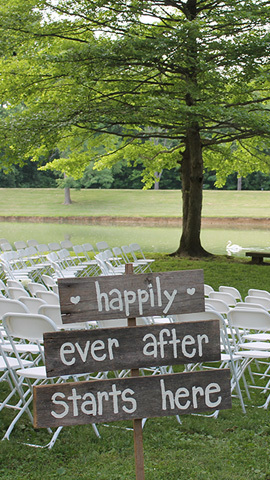 The New Harmony Inn Resort and Conference Center is the regions most desired wedding destination. From lavish lakeside weddings to indoor receptions our sales department can assist you with all the details of your special day. Plan your next corporate event in our full service meeting facility that is surrounded with views of natural beauty. Our tranquil setting helps to reduce stress and promotes productive meetings and retreats. Contact our friendly Sales department at 812-682-4431, press option 4.